Donor Car: 1999 Audi A8 D2 FL 4200cc Quattro. The New and Used Audi Parts Specialist for all Audi models worldwide. Audi Part Number: 028 907 475 BD. It may fit others. Donor Car: 1999 Audi A8 D2 FL 4200cc Quattro. The New and Used Audi Parts Specialist for all Audi models worldwide. It may fit others. Audi Part Number: unknown. Audi A8 D2 LHD Accelerator Pedal. Donor Car: 2001 Audi A8 D2 FL 6000cc. The New and Used Audi Parts Specialist for all Audi models worldwide. Audi Part Number: 4D1 721 507 J. It may fit others. Donor Car: 2001 Audi A8 D2 FL 6000cc. The New and Used Audi Parts Specialist for all Audi models worldwide. Audi Part Number: Unknown. It may fit others. Donor Car: 1999 Audi A8 D2 PF 4200cc Quattro. The New and Used Audi Parts Specialist for all Audi models worldwide. Audi Part Number: unknown. It may fit others. Donor Car: 2004 Audi A8 D3 3000cc. The New and Used Audi Parts Specialist for all Audi models worldwide. Audi Part Number: 4E2 723 523 C. It may fit others. Donor Car: 1998 Audi S8 D2 PF 4200cc Quattro. The New and Used Audi Parts Specialist for all Audi models worldwide. Audi Part Number: 442 723 537. It may fit others. Donor Car: 2004 Audi A8 D3 3936cc Quattro. The New and Used Audi Parts Specialist for all Audi models worldwide. Audi Part Number: 4E2 723 523 D. It may fit others. HI HERE WE HAVE AUDI A8 D3 3.0 TDI 2004-2010 ACCELERATOR PEDAL IN GOOD WORKING ORDER. It has been removed from AUDI A8 3.0 TDI QUATTRO 2006. Donor Car: 2001 Audi A8 D2 FL 3700cc Quattro Sport. The New and Used Audi Parts Specialist for all Audi models worldwide. Audi Part Number: unknown. It may fit others. Donor Car: 2002 Audi S8 D2 FL 4200cc Quattro Sport. The New and Used Audi Parts Specialist for all Audi models worldwide. Audi Part Number: unknown. It may fit others. Donor Car Colour: Bodywork is Black LZ9W. Audi A8 D3 Brake Pedal. Donor Car: 2003 Audi A8 D3 4172cc Quattro. The New and Used Audi Parts Specialist for all Audi models worldwide. Audi Part Number: 4E2 723 140 A. It may fit others. Donor Car: 2000 Audi S8 D2 FL 4172cc Quattro Sport. The New and Used Audi Parts Specialist for all Audi models worldwide. Audi Part Number: Unknown. It may fit others. Audi A4 B6 Brake Pedal For Automatic Cars. Donor Car: 2005 Audi A4 B6 Cab 2996cc. The New and Used Audi Parts Specialist for all Audi models worldwide. It may fit others. 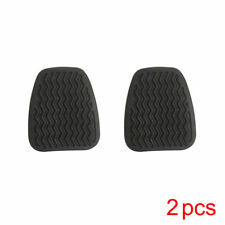 Audi Part Number: 8E2 723 139 A.
Audi A8 D3 Drivers Footrest Indigo Blue. Donor Car: 2003 Audi A8 D3 4200cc Quattro. The New and Used Audi Parts Specialist for all Audi models worldwide. Audi Part Number: 4E2 864 763 A. It may fit others. All parts are for sale exactly as shown on the picture. Cash on collection in person. IMPORTANT NOTE Goods will not be dispatched until cheques have cleared. OS is offside, right, or driver’s side in the UK. Donor Car: 2001 Audi A8 D2 FL 3697cc Quattro Sport. The New and Used Audi Parts Specialist for all Audi models worldwide. Audi Part Number: Unknown. It may fit others. Audi A8 D3 Brake Pedal and Mounting Bracket. Donor Car: 2003 Audi A8 D3 4200cc Quattro. The New and Used Audi Parts Specialist for all Audi models worldwide. It may fit others. Audi Part Number: 4E2 723 031 K.
Audi A8 D3 Brake Pedal and Mounting Bracket. Donor Car: 2004 Audi A8 D3 4000cc Quattro. The New and Used Audi Parts Specialist for all Audi models worldwide. It may fit others. 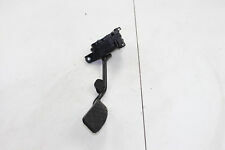 Audi Part Number: 4E2 723 031 P.
Audi A8 D3 Brake Pedal and Mounting Bracket. Donor Car: 2005 Audi A8 D3 3000cc Quattro. The New and Used Audi Parts Specialist for all Audi models worldwide. It may fit others. Audi Part Number: 4E2 723 031 Q. The New and Used Audi Parts Specialist for all Audi models worldwide. Audi Part Number: 4D2 723 173 A. It may fit others. Audi A8 D3 Brake Pedal and Mounting Bracket. Donor Car: 2003 Audi A8 D3 3700cc Quattro. The New and Used Audi Parts Specialist for all Audi models worldwide. It may fit others. Audi Part Number: 4E2 723 031 M.
Donor Car: 2000 Audi A8 D2 FL 2800cc Sport. The New and Used Audi Parts Specialist for all Audi models worldwide. Audi Part Number: unknown. Donor Car Colour: Bodywork is Green LZ6H. Interior trim is Cream N5D/ WJ. 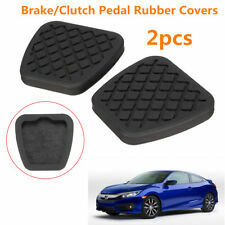 Audi A1 TT 8N Clutch Pedal Pad Rubber. Donor Car: 2001 Audi TT 8N 1800cc Quattro. The New and Used Audi Parts Specialist for all Audi models worldwide. Audi Part Number: 8N0 721 174 A. It may fit others. Removed from a 2007 Audi A8 3.0 230Bhp - 4 Door Saloon - Diesel - 6 Speed Automatic - Engine Code ASB. Pedal Throttle. A8 2005 To 2010. “Great Bridge Parts” has high reputation for both quality and service and believes itself to be the market leader in vehicle recycling in West Midlands. Donor Car: 1997 Audi A8 D2 PF 2771cc Quattro Sport. The New and Used Audi Parts Specialist for all Audi models worldwide. Audi Part Number: unknown. It may fit others. Audi A8 D2 PF Drivers footrest Cream. Donor Car: 1999 Audi A8 D2 PF 4200cc Quattro. The New and Used Audi Parts Specialist for all Audi models worldwide. Audi Part Number: 4D2 864 763 A. Generic Notes on this Part: Cream in colour. Audi A8 D3 RHD Drivers Footrest Cream. Donor Car: 2007 Audi A8 D3 3000cc Quattro. The New and Used Audi Parts Specialist for all Audi models worldwide. Audi Part Number: 4E2 864 763 A. Donor Car Colour: Bodywork is Blue LZ5D. Donor Car: 2001 Audi A8 D2 FL 2771cc Quattro. The New and Used Audi Parts Specialist for all Audi models worldwide. Audi Part Number: unknown. It may fit others. $AUDI A8 D3 2007 TDI ACCELERATOR PEDAL 4E2 723 523 D 4E2723523D AUDI A8 D3 2007 TDI ACCELERATOR PEDAL PART NUMBER - 4E2723523D WE ARE SELLING GENUINE USED AUDI PARTS Please be aware that all items may have usage marks on them in the form of scratches as they are not brand new IF YOU HAVE ANY MORE QUESTIONS PLEASE DO NOT HESITATE TO ASK contact numbers 07807118497-07581379600 GLASS AND BODY PANELS WE PREFER LOCAL COLLECTION DUE FRAGILE NATURE BUT WILL POST HOWEVER IT IS DONE SO AT BUYERS RISK. COLLECTION WELCOME PLEASE VISIT MY SHOP FOR OTHER AUDI PARTS PLEASE MAKE SURE YOU ARE BUYING THE RIGHT ITEM Return Policy details: *Please note that returns accepted only within 14 days from delivery day. *All parts are in used condition but they all checked before removing from car and also we check them before posting. Donor Car: 2007 Audi A8 D3 FL 3000cc Quattro Sport. The New and Used Audi Parts Specialist for all Audi models worldwide. Audi Part Number: 4E2 723 523 F. It may fit others. Audi A8 D2 FL Accelerator Pedal. Donor Car: 2000 Audi S8 D2 FL 4172cc Quattro Sport. The New and Used Audi Parts Specialist for all Audi models worldwide. Audi Part Number: 4D2 723 507 E. It may fit others. Donor Car: 2003 Audi A8 D3 4172cc Quattro. The New and Used Audi Parts Specialist for all Audi models worldwide. Audi Part Number: 4E2 723 523. It may fit others. Due as in the picture.